Poor housing and indoor environments cause or contribute to many preventable diseases and injuries, such as respiratory, nervous system and cardiovascular diseases and cancer. A degraded urban environment, with air and noise pollution and lack of green spaces and mobility options, also poses health risks. 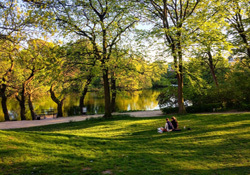 Leading up to the Sixth Ministerial Conference on Environment and Health to be held 13 to 15 June in Ostrava, Czech Republic, WHO has launched a new report aiming to fill the knowledge gap on the benefits of urban green spaces. 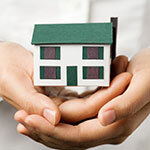 Housing and construction regulations offer governments and local authorities a wide range of options to improve the housing conditions and thus the health of European citizens. In the European Union alone there are about 80 million people living in relative poverty. Many of these people live in damp homes, with insufficient heating and inadequate sanitary equipment.